The Gold Head Pheasant Tail Nymph is a great fly pattern that has been on the angling scene for ages. Though it does not represent any specific insect, its overall shape and profile proves equally attractive to both brown and rainbow trout. For stillwater fishing the Gold Head Pheasant Tail Nymph is best fished very slowly near the bed of the lake on a slow retrieve where it is particularly attractive to both brown and rainbow trout. Occasionally it also pays to strip the fly back every now and then to mimic an escaping small, inducing a following trout to take the nymph. 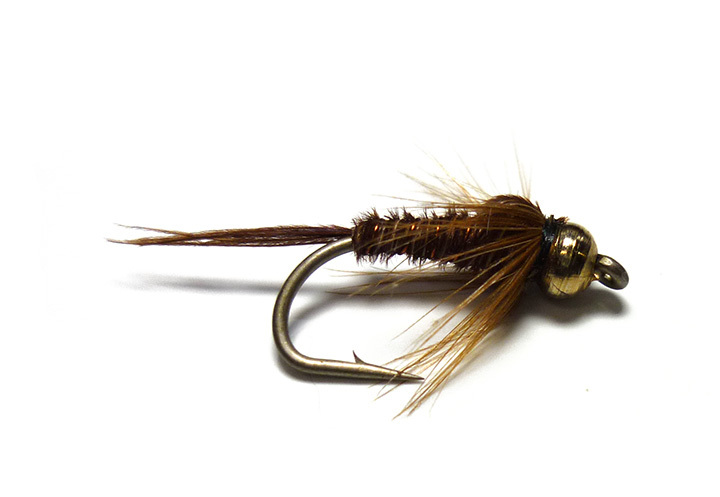 In smaller sizes the Gold Head Pheasant Tail Nymph is the perfect weighted river nymph pattern which imitates a range of natural trout foods. Perfect for the Duo - Klink and Dink style of fishing. A great river pattern, also great as a stillwater pattern when stripped or slow retrieved on a floating line.